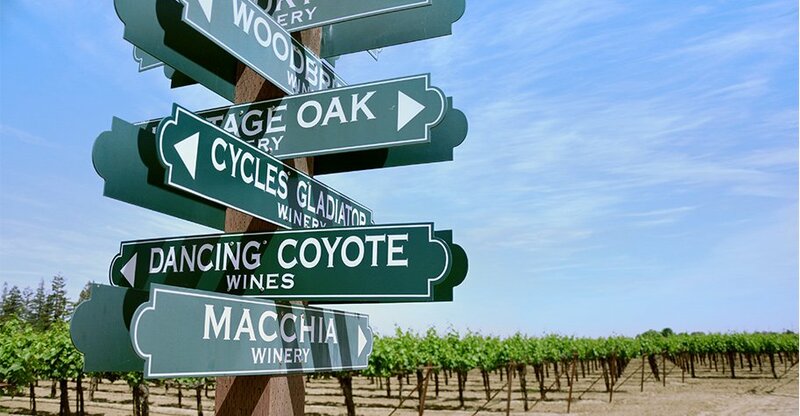 Dancing Coyote is a family run, owned and operated vineyard located in a beautiful stretch of land in California’s Clarksburg appellation. 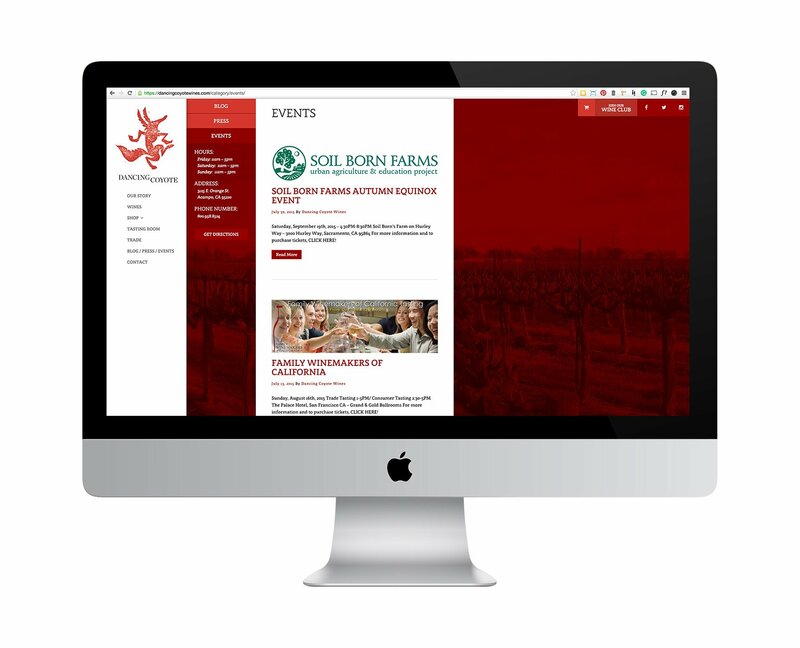 They’ve been farming in the Delta region along the Sacramento River for five generations and have been producing award winning wines every since. When they are not busy nurturing over 600 acres of exquisite wine grapes in the ideal climate and soil of the Sacramento Valley. 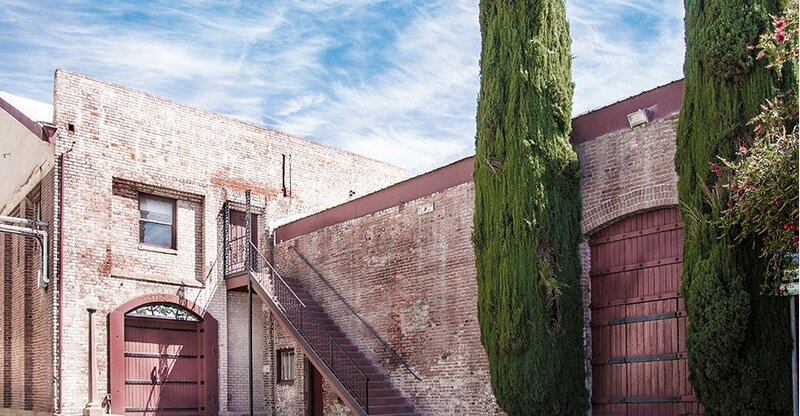 Their family’s devotion to producing wines of exceptional quality and character is unwavering. 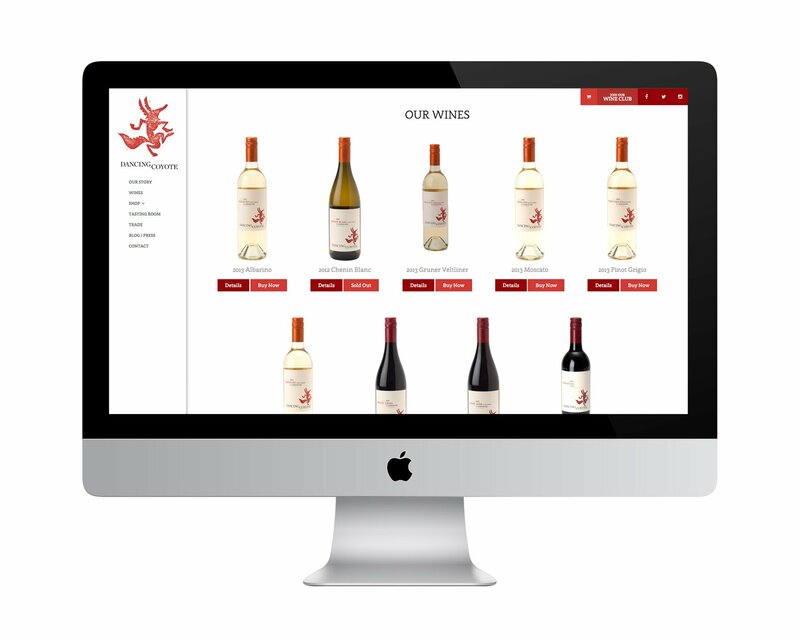 With mobile surpassing desktop users, we were challenged to design and develop a responsive e-commerce site that refocused Dancing Coyote Wines online presence. 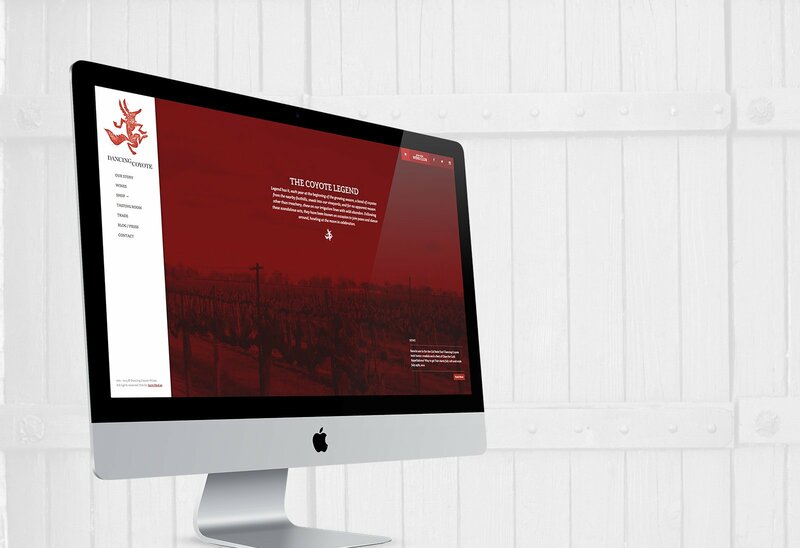 Our goal was to produce a platform that showcased the families passion for winemaking and the region. 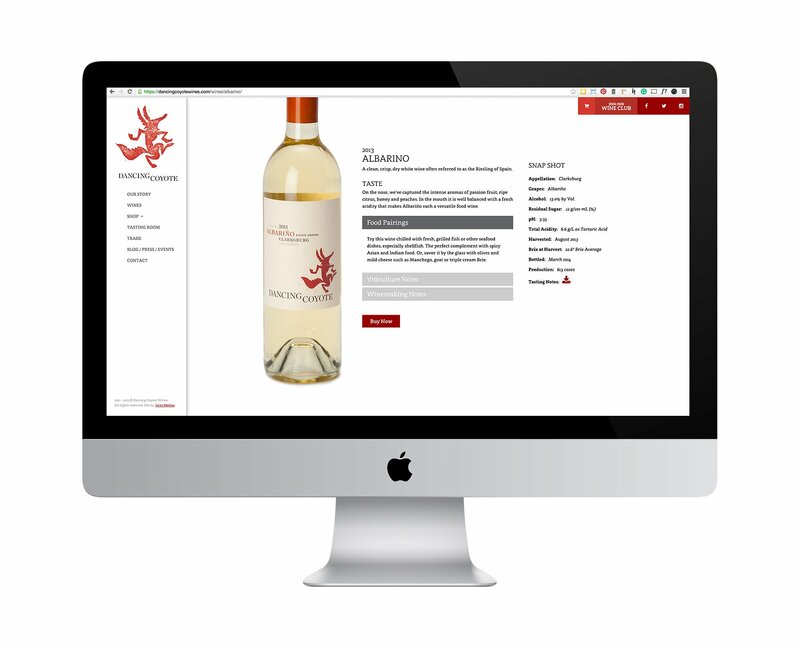 Inspired by the open and airy design of their wine bottle labels, simplicity and ample white space lead the design. 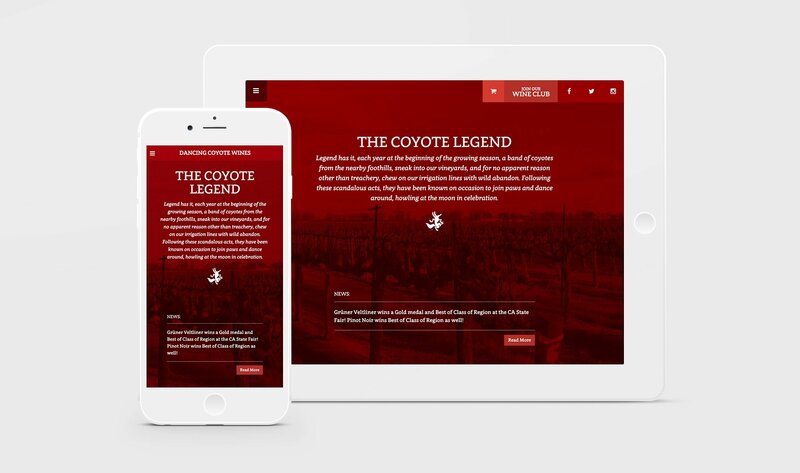 Inspired photography and unique UI solutions make navigating through the visually interesting and simple.